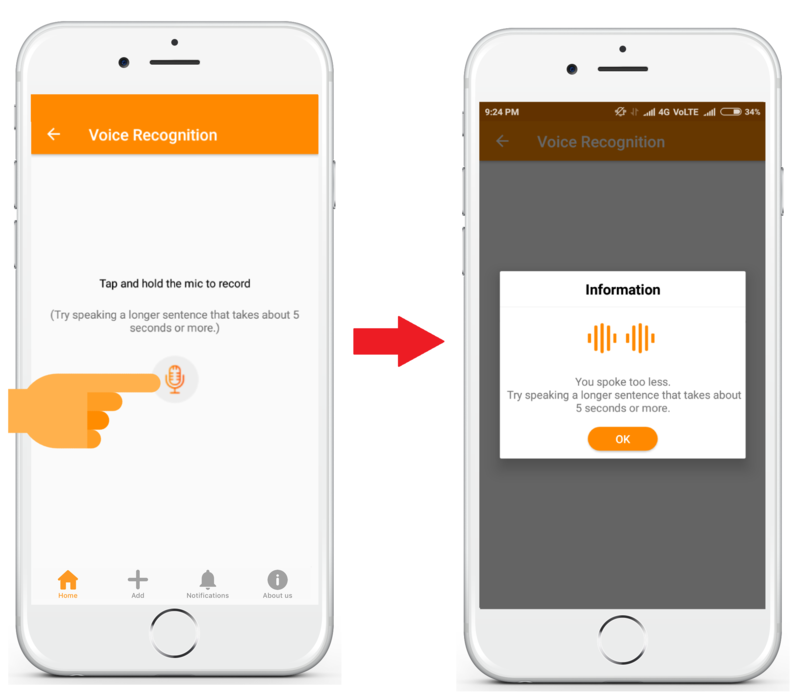 Voice Recognition (sometimes called voice authentication) is a type of user authentication that uses voiceprintbiometrics. voice Recognition relies on the fact that vocal characteristics, like fingerprints and the patterns of people&apos;s irises, are unique for each individual. The criteria that a voice ID system bases decisions on are created by the shape of the speaker&apos;s mouth and throat, rather than more variable conditions. Because of the relative permanence of the characteristics it measures, the technology is not likely to be fooled by an attempt to disguise a voice, and is not generally affected by changes that can make a voice sound quite different to the human ear, such as a bad cold or extreme emotion. 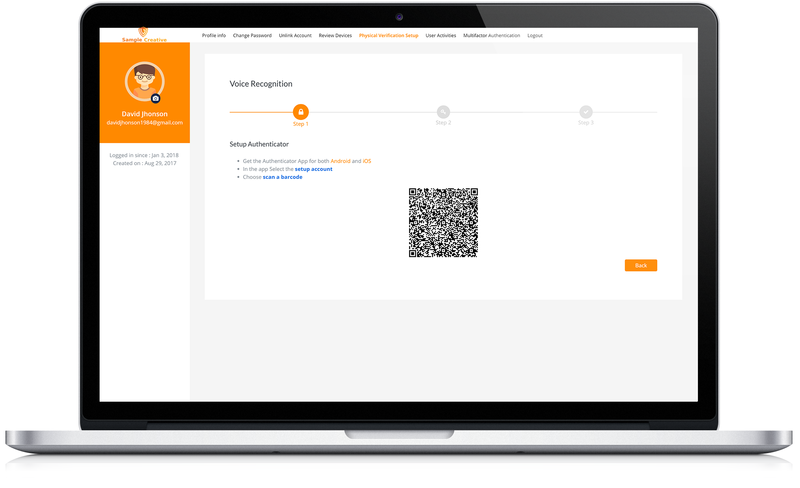 During enrolement for a voice authentication system, a user&apos;s voice is recorded, creating what is called a voiceprint for comparison with samples taken for user identification. To foil attempts to fool the system with a prerecorded voice sample, people may be asked to read or repeat a list of words which they can then be requested to repeat in random combinations. 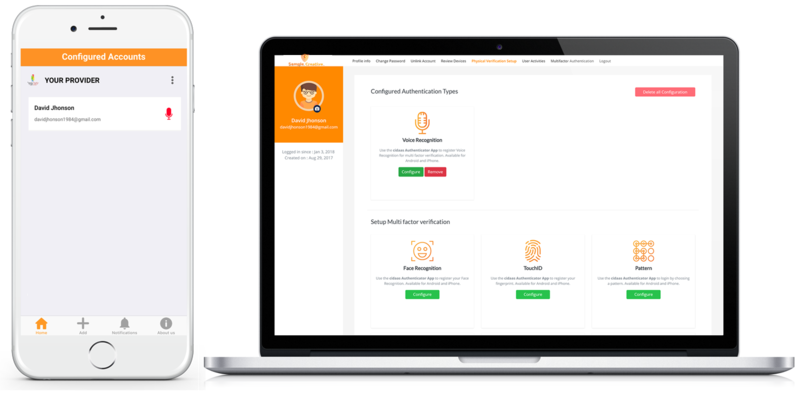 How cidaas makes use of Voice Recognition as a part of Multifactor Authentication? 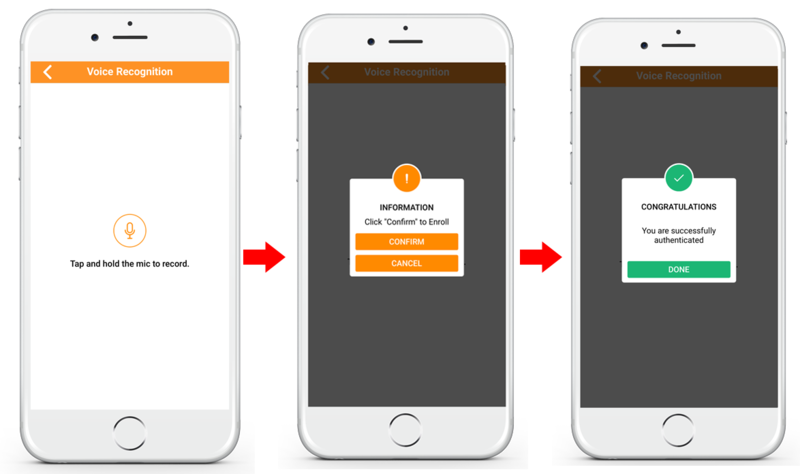 Voice Recognition is one of the Authentication type cidaas uses to authenticate users through Authenticator application. 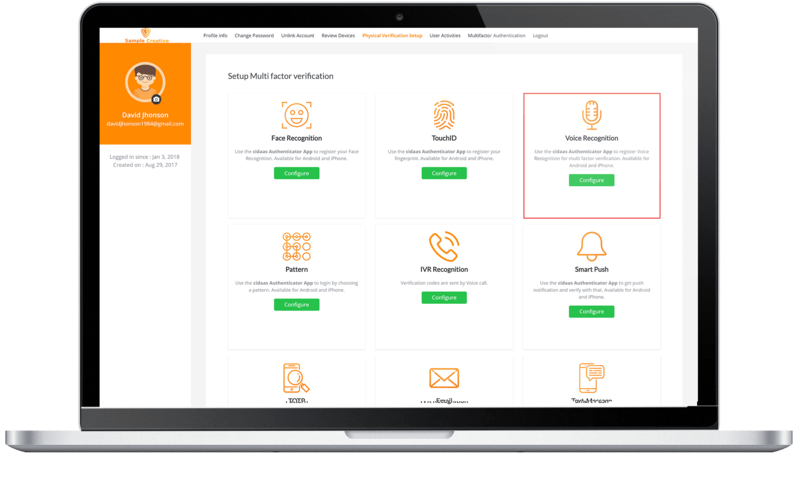 As a prerequisite, the admin must enable the Multifactor authentication settings in the admin dashboard -make sure voice Recognition is enabled here. 2. 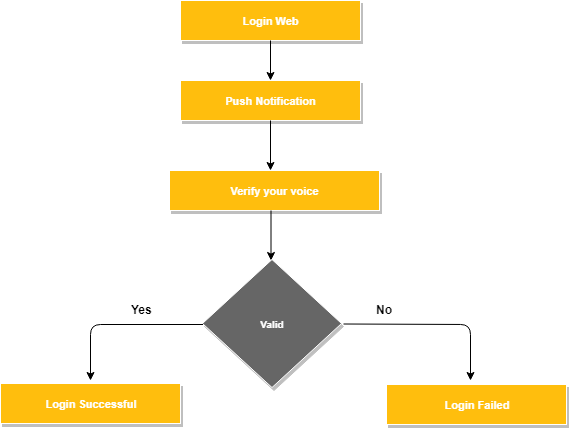 Configure the voice method as shown in the flow below: Where the user can verify their voice on mobile. The voice will be sent to server for further processing along with the device-ID and the FCM token of the Smartphone. 3. 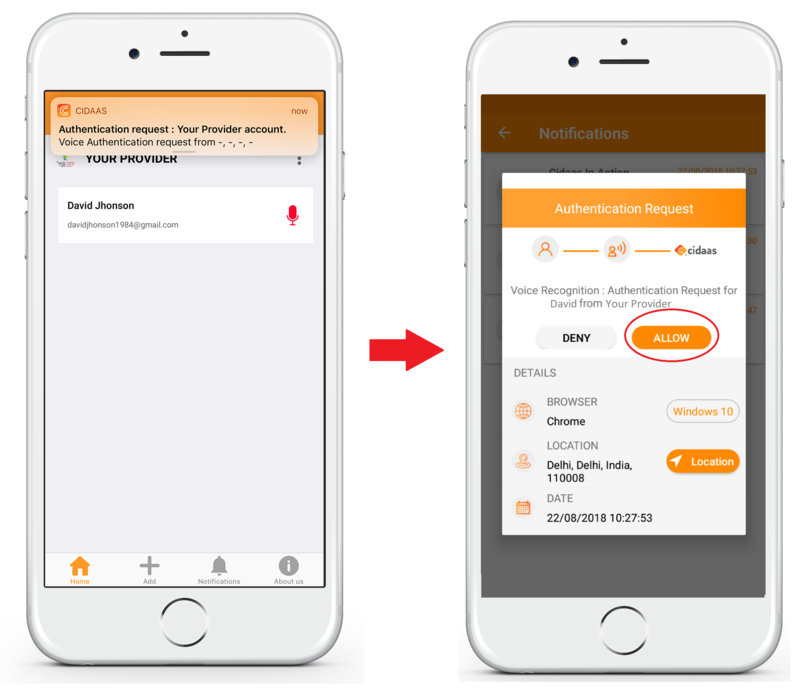 This device-ID and FCM token is the basis for sending notifications during login. 4. 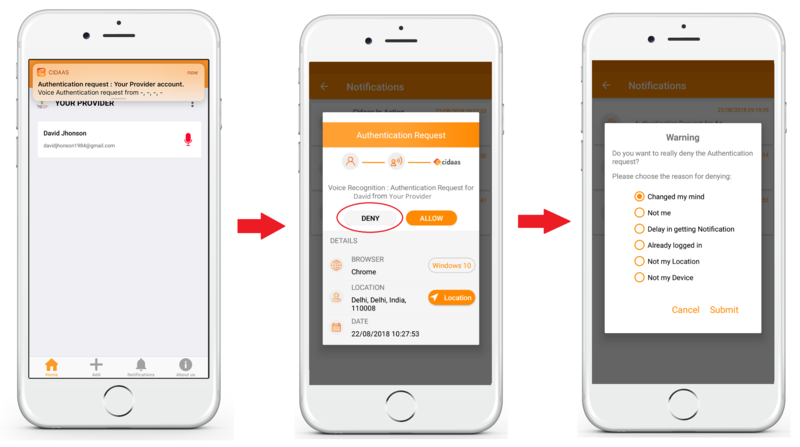 When the user logs-in to the web portal/ any other service, he will get a notification to login. 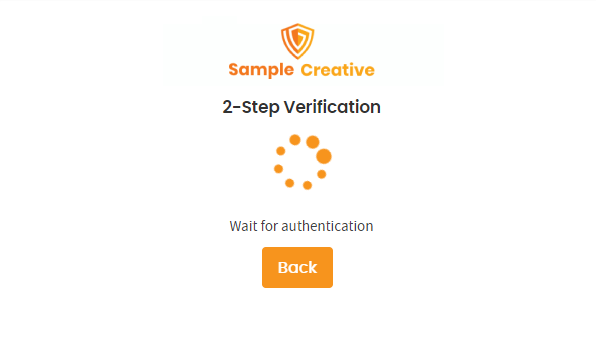 When he clicks on it, the user needs to verify his voice. If this voice matches with the originally configured data -stored in cidaas server, will the user be successfully authenticated. 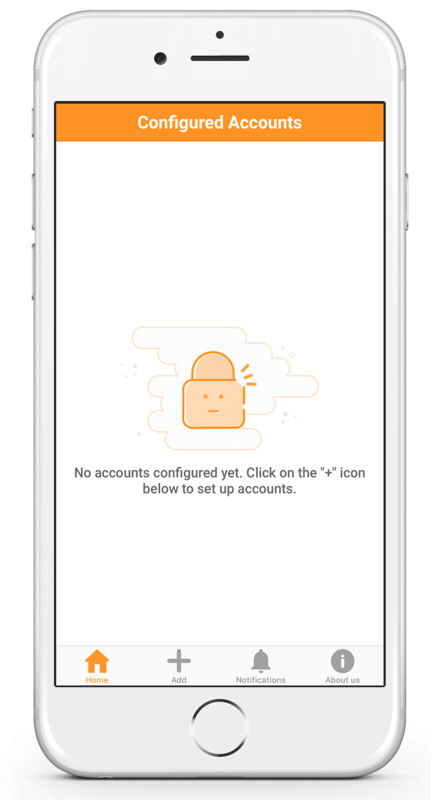 Once the above configuration is done, each time when the user logs in to his account in web, he gets a push notification. On clicking this, user has to verify his voice. 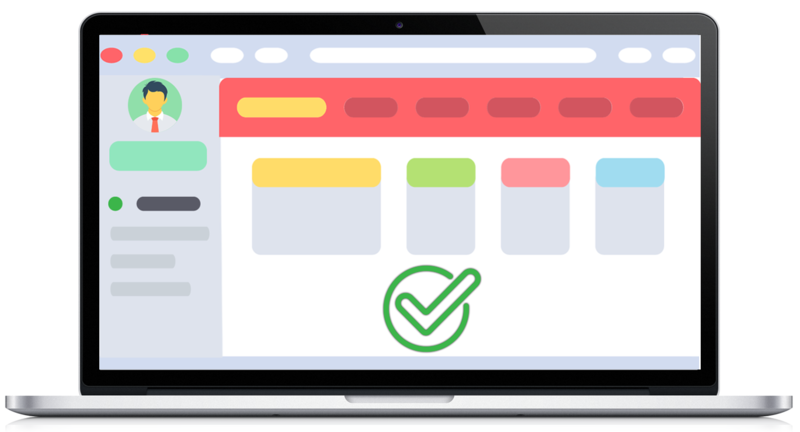 The voice recorded is sent and verified with the configured info on the server. If these match, the user is successfully logged in (see flow below). 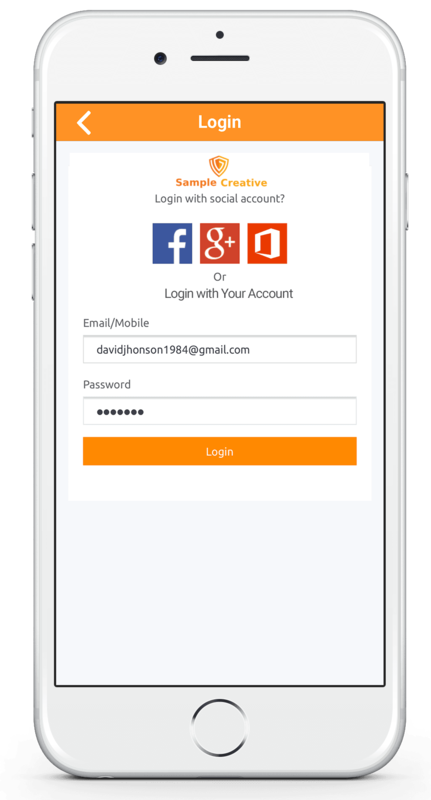 Download and Install the cidaas authenticator app from the below link, if not done so already. 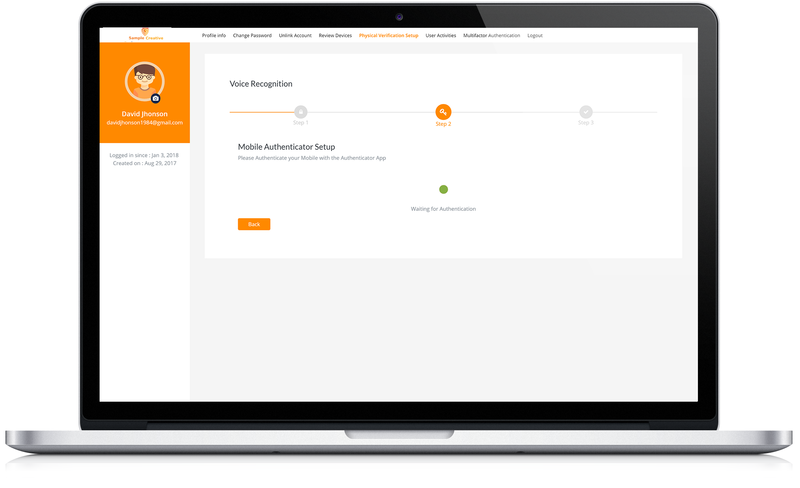 Once logged in, you need to configure voice verification. 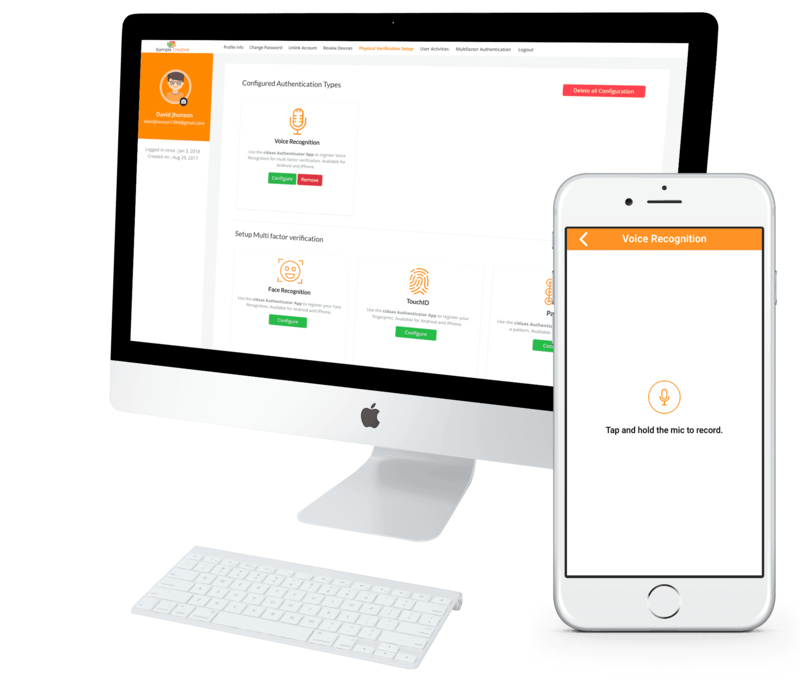 Speak and record your voice on your mobile as per the instructions specified on the App. If successful, the setup is completed. Voice recognition is now successfully configured. If user try to speaking a longer sentence should takes about 5 secoonds or more, otherwise it will throw exception. The screen waits for authentication. 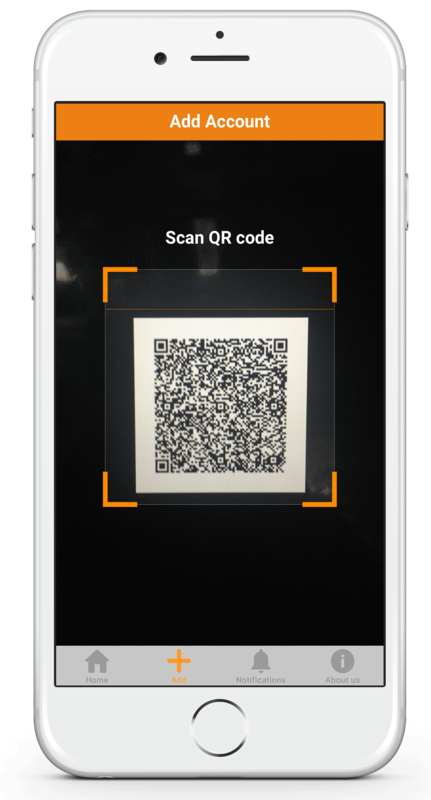 Now, you can see the Voice verification screen. 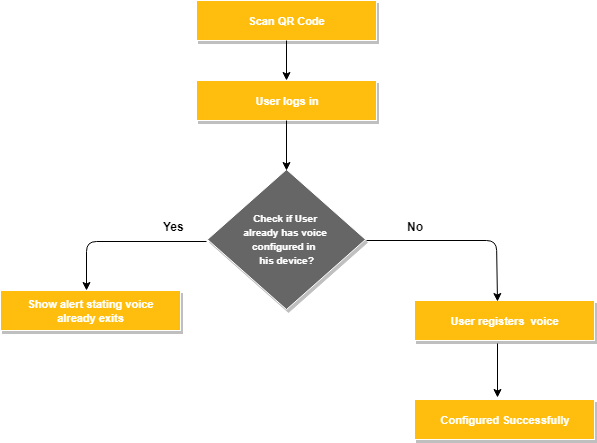 Verify your Voice on your mobile. If it matches with the originally configured voice sample, you are successfully authenticated. You have now successfully logged in.